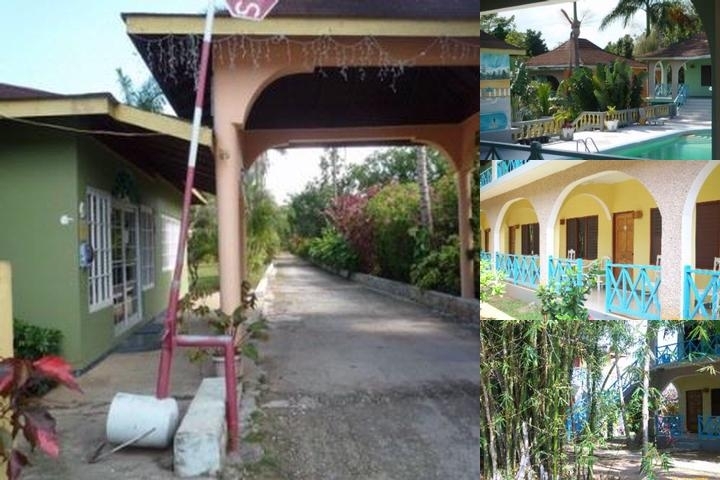 Welcome to Bungalo Sungarden Resort – Negril, Jamaica In the heart of the famous Seven Mile Beach, the cozy Sun Garden Resort is across the street from the sparkling beach and within walking distance to shopping and nightlife. You are minutes from jetskiing, parasailing, sunset cruises, horseback riding, waterfalls, and much more in beautiful Negril. After a day of exploring, visit our Poolside Bar and Restaurant, or venture out a short distance to a variety of affordable restaurants. Amenities at the Sun Garden Resort include beach access, complimentary continental breakfast, outdoor pool with onsite restaurant and bar, and business services. Rooms are air conditioned and include cable TV, wireless internet, private bathroom, microwave, hair dryer, iron and board, and alarm clock. Can vary according to group and time of year, but normally 15 days notice of cancellation required to guarantee refund. Montego Bay airport of 31 miles away (75 minutes on the picturesque coastal highway).About US$20 per person (1-4) by taxi, depending upon number of passengers. Below are the meeting, banquet, conference and event spaces at Bungalo Sungarden Resort. Feel free to use the Bungalo Sungarden Resort meeting space capacities chart below to help in your event planning. Hotel Planner specializes in Negril event planning for sleeping rooms and meeting space for corporate events, weddings, parties, conventions, negotiated rates and trade shows. 15 x 14 x 10 Ft.